RST takes you to the top! 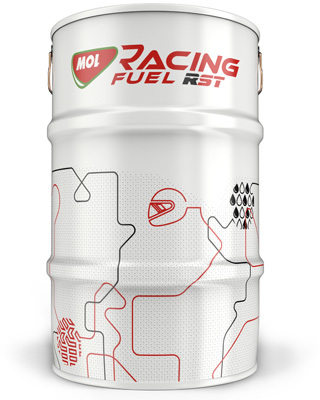 MOL Racing Fuel RST was developed in 2015 under the FIA fuel regulations. The fuel is dedicated for ultimate racing purposes. RST is a multifunctional racing fuel for high RPM and high compression atmo and turbo charged vehicles. The RST guarantees stable and high performance for the racers. MOL Racing Fuel RST proved a significant performance difference comparing to a premium 100 octane gasoline on dyno. Our engineers achieved 5-6% plus power. 1. MOL Racing Fuel RST ensures high octane and a high oxygen level at a favourable price for a long time in a steady supply. 2. First generation general purpose FIA-homologous competition fuel for the street, with outstanding performance even among extreme circumstances. In addition to superlative performance, it also guarantees high torque across rev count ranges. +1. It is cheaper than any racing fuel of at least this quality, and you can get it easily and continuously. © Copyright HEXAN Ltd. All rights reserved. We've recieced your order, thank you for that! Our Colleague will contact you soon to adjust the further detailes of your order.